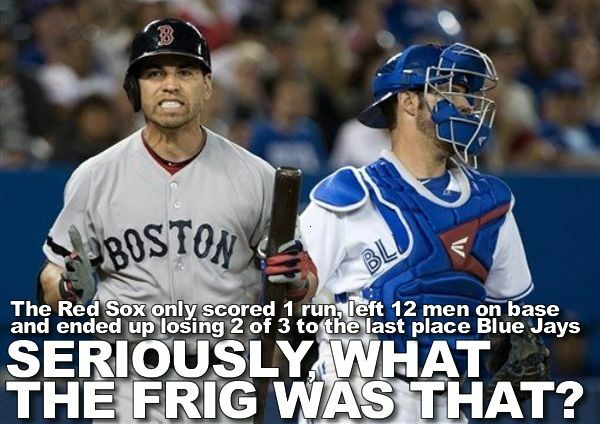 Masshole Sports: FINAL: Blue Jays 2 Red Sox 1. Damn You Ben Affleck. Damn You To Hell! FINAL: Blue Jays 2 Red Sox 1. Damn You Ben Affleck. Damn You To Hell! How the hell does a team that has scored the most runs in all of baseball and have the second most wins in all of baseball lose two of three to the friggin Toronto Blue Jays? This series pissed me off. It really pissed me off. Oh yea, and for the record, the Red Sox are now 0-14 on Ben Affleck's birthday since 1998 (the year Good Will Hunting came out). Damn you, Affleck. Damn you to hell!! !